Databases For Charities: Microsoft CRM for Charities: Where Are We Now? Microsoft CRM for Charities: Where Are We Now? So far, MS CRM has proved mainly beneficial for small to medium size UK NFP organisations and primarily for one of two scenarios: either where there is a specialist need and where CRM is a heart of that need (e.g. outcome and performance management, registration requirements), or where it could be implemented across the whole organisation for multiple needs but where sophisticated fundraising functionality is not a requirement or the central need (e.g. contact management, events, volunteer management). Similarly, in a few instances I know of, it is being implemented at larger organisations for all their contact management except fundraising. All this is being done in-house at some charities but often it is with the assistance of specialist MS CRM suppliers, some of which are carving a niche with their NFP sector experience. This is mainly because fundraising - and membership in many instances too - has specific requirements which either take time and money to implement or which can simply be better served (at the moment) by a dedicated fundraising/membership software package. This is not to say that MS CRM cannot achieve the same functionality or benefits, it is just that to get to that point takes time, resources, knowledge and money. In particular, requirements such as Gift Aid management (not over-complex these days but still a niche requirement), direct debit processing, some income processing requirements, membership management, payroll giving support and so on are needed for most fundraising/membership charities with a high enough income or advanced requirements, and many organisations still see the traditional fundraising/membership software packages as providing better solutions for these needs. Microsoft's original press release announced "support for online payment solutions" but I don’t know yet whether this initial implementation will be suitable for UK organisations at this time. And, of course, there could be all sorts of other issues which need addressing for UK charities for it to be truly suited to them. That said, an alternative approach is emerging, with CRM resellers now creating 'templates' for MS CRM with built-in fundraising and membership functionality. Organisations such as Touchstone Systems, Pythagoras and IMMIX all now offer such solutions, and this may well create a new market for the product. And in some ways, these sort of offerings are an excellent concept: a good, solid system which will continue to grow and be enhanced over the years to come, with fundamental support for charities' requirements, but with the ability to customise it to an organisation's specific needs as well. It's a nice approach. So is MS CRM really appropriate for UK NFP organisations yet? I personally believe that MS CRM (and similar offerings such as SalesForce) are still mostly suited to small to medium size charities who can and want to implement a single database for all their supporters and contacts. If they have a larger fundraising/membership constituency then it won't have the advanced fundraising oriented functions of the traditional fundraising packages (e.g. 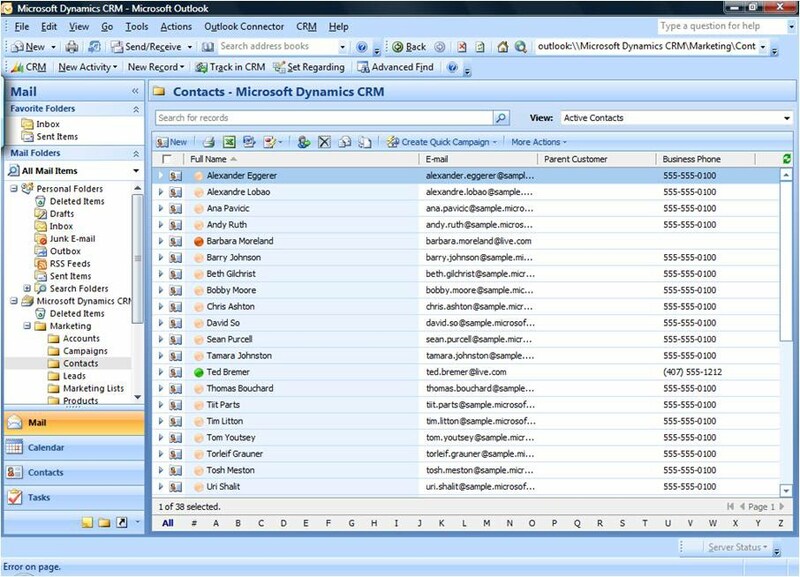 Blackbaud, IRIS, ESIT etc), but if an organisation wants to manage all their contacts in a single database with a wide breadth of functionality then Dynamics CRM is definitely an option. Maybe just not yet if there is a need for specialist fundraising and income support (unless they use one of the companies listed above) but I believe that will come, either from Microsoft or their partners/resellers and when that happens, that will put the cat amongst the pigeons for the traditional software package suppliers to the sector. Finally a word on cost: MS CRM software license is very cheap - whether it is the price in the Microsoft Press Release or through the UK Microsoft resellers such as CTX or through a special offer such as Caltex provide, but organisations need to be aware that the major costs in implementing it will be in configuration, customisation, implementation et al - whether they use an external company or internally. And that can add up. Interestingly, Microsoft's Press Release actually says "Customizations for nonprofits and NGOs are offered free of charge". That’s some statement! I wonder what sort of flexibility and limitations that has? As you say the issue is both with the cost of implementation and perhaps the longer term committment of Microsoft to this market. 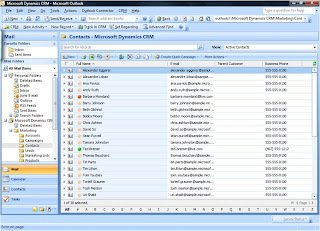 associations for 16 years i have my doubts about the use of MS CRM for mid to large size organisations where they require a variety of tools and approaches to build a fully integrated solution with back office, customer self service and web content integration. It is also clear that Microsoft themselves will come under extraordinary pressure over the next five years from Google and will need to focus efforts on core systems and markets that are more general despite having an "interest" in working with and supporting the sector. For the next few years at least these larger systems will require specialist solutions and a great deal of help and support by those with sector experience. If we see a real relevence to products such as MS CRM for Chartities we will respond and get involved, however it is our belief that up and coming FR products such as iMIS Fundraising will continue to offer great benefits and a high value proposition even against this level of potential competition. Interstin views particularly since sevral of the larfr UK chrites hae or are moving down the Salesforce and MS Dynamics road already an aredeliberatelyOT adoptng traditonal CRM vedors. robaby becausof thir nteral view and intent to be "More commerciall"
That said Blackbauds enterris CRM stands head and shoulders above them all in terms of simplicity to use and overall functionality.